Oriental flowers vector art composition. Olive green backdrop image with a circular design made up of decorative and ornate Asian style floral graphics and lotus center. The beautiful free download resembles Indian pattern and textile artwork. 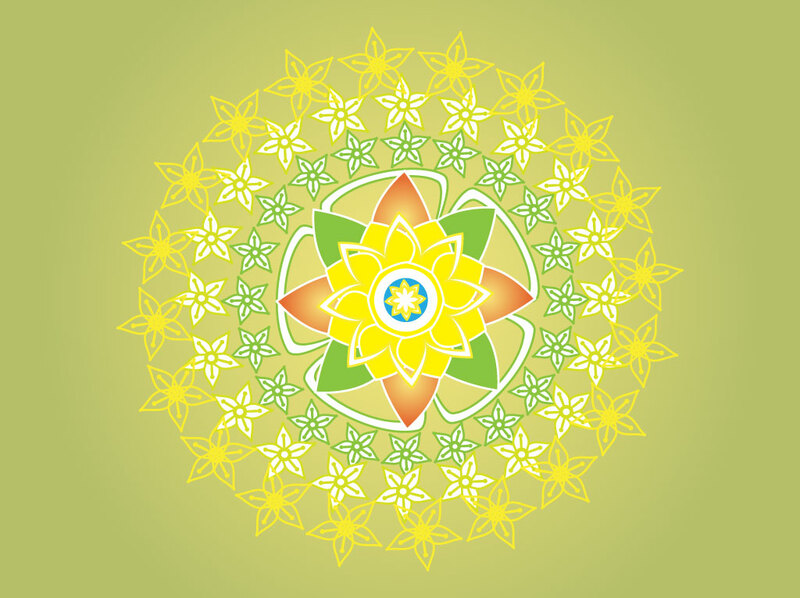 A great mandala image for your Asian travel, Indian fashion and tropical print projects. Tags: Asia, Circular, Floral, India, Lotus, Mandala, Poster, Print, Textiles.